Birthday (for your Free Wash) (required) For your Free Birthday Wash! 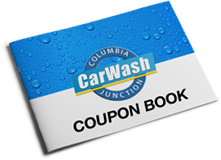 Save up to 20% on your car washes when you buy coupon books in advance. 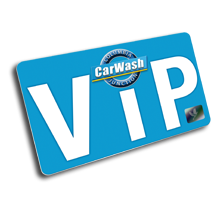 Coupons are available for all of our Automatic Exterior Car Wash Options. 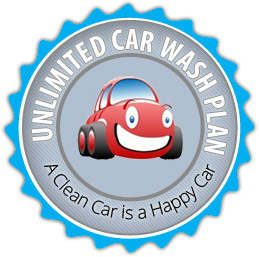 Choose Basic, Special, Deluxe or the Works car wash for your special clean machine. 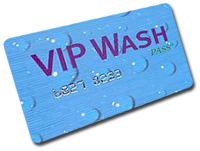 This VIP card can be programmed for multiple washes in the Touch Free Wash. Minimum of $50.00 per card. Ask for a demonstration and ask about volume discount plans. 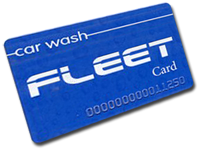 Treat your vehicles to our self-service bay equipped with the Fleet Wash Card System: The latest in car wash technology that's ideal for your fleet or family vehicles. Just slide the custom WashCard through the card readers located in our self-serve bays and the microprocessor based controllers will store and track your usage. Prepay and receive large volume discounts. Ask for a demonstration today! Give the gift of Clean! 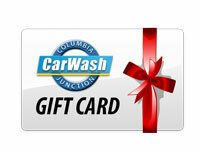 Gift cards are available for purchase at The Wash in any denomination from $20 and up.